The press is being very active in reporting the voluntary administration of the Perdis group. Many people may regard it as just another case of greedy landlords and an over-ambitious businessman. Looking beyond the surface of the whole situation there are a few hints of what is happening in not only retail stores around the country but the commercial property industry as a whole. Let us break this down a bit. Napoleon Perdis is not a retail business newbie. Many regard him as a leader in the Australian cosmetics industry. The great story of a small makeup artist had a big dream to create an empire and made it. He has been operating his cosmetics empire for over many years. The business has multiplied since opening his first store in 1995. The Perdis group has many stores throughout Australia and New Zealand. Both run as independent and also in major department stores. It was reported to have over 600 employees in 2015. The repercussions could be far more significant than the hundreds of employees. There are the many leases plus landlords and their investors and shareholders at risk. It is filtering down to every day Australian investors and worldwide superannuation fund holders. People who rely on these funds as a significant income source. What can be summarised from all the reports in the press is that the business is paying rents which cannot be comfortably be covered in the current retail environment. Who is to blame and what has been the caused of this will be speculated and debated over the coming weeks and months. It’s very easy and very newsworthy to call this a battle between the “greedy” landlords and bad business practice. Let’s look into this bit deeper. As a commercial real estate agent and business broker specialising in business Real estate, we see this sort of situations brewing up all time on all levels. On one side and you have the business owner who needs to get the highest exposure & best possible foot traffic for their businesses available in the commercial retail market. At the same time, you have other companies competing for the same available lease areas. A simple case of supply and demand pushing up the retail rents. The perfect situation where landlords, landlords and funds managers are salivating. The problem is that what works on one site for a particular business may not work as well for another business. Business models and cost structures can be different. Also, what works in one retail area centre or an area may not work the same way in other. Hence the need for Perdis Group to close the less profitable stores. We live in a competitive world. Some businesses may have the turnover and markups to afford rentals of 20% plus of their turnover and go for the super prime areas for their businesses. These businesses also complete with the larger multinationals which may be happy to break even or even make a small loss to secure these prestige positions for marketing purposes. This can go on and on. As some marketing gurus say… “those that can afford to spend the most to acquire more customers usually win”. That’s likely what their multinational business rivals may be doing. Squeeze them out and gain a larger market share. Look at other multinational brands in the retail industry occupying prime sites in Sydney, Melbourne, and other Australian (and beyond) major centres and Amazon on the online (ironically starting to move to retail) as examples. While the businesses continue to grow, and there’s still plenty of money in the kitty from the shareholders and investors things look great. Expansion then appears to be the next logical step until things change. As rental incentives start to dry up and rent increases begin to kick in. The situation gets a little bit tighter. Then you may have increased competition putting pressure on sales and margins. The banks and investors may get nervous and start tightening on further funding. Several stores may begin to become unprofitable. You can now see the storm brewing. On the other side, you have the investor. 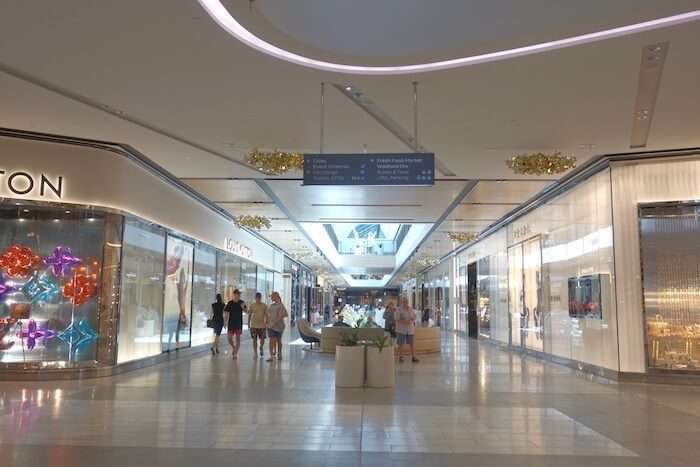 Whether it be a superannuation fund or a group of investors, they either develop or purchase the shopping centre in anticipation of gaining a return for their investment. Like the individual retailers, they are also under pressure to ensure they have the best quality of tenants to encourage other quality tenants who are likely to support more paying customers and pay higher rent. At the same time shopping centre managers under pressure from the banks and/or funds managers. Then you have the funds managers who are under pressure from the shareholders to achieve higher growth. So everyone needs to perform. Under this pressure, it is easy to understand why landlords are often labelled as being “greedy”. The Australian press has quoted that Worrels Solvency have been appointed as administrators with the task of finding buyers or investors to sell the business and keep the iconic Australian Perdis cosmetic business going. Time will tell what the outcome will be. Let’s hope that we don’t have another Ansett Airlines situation.